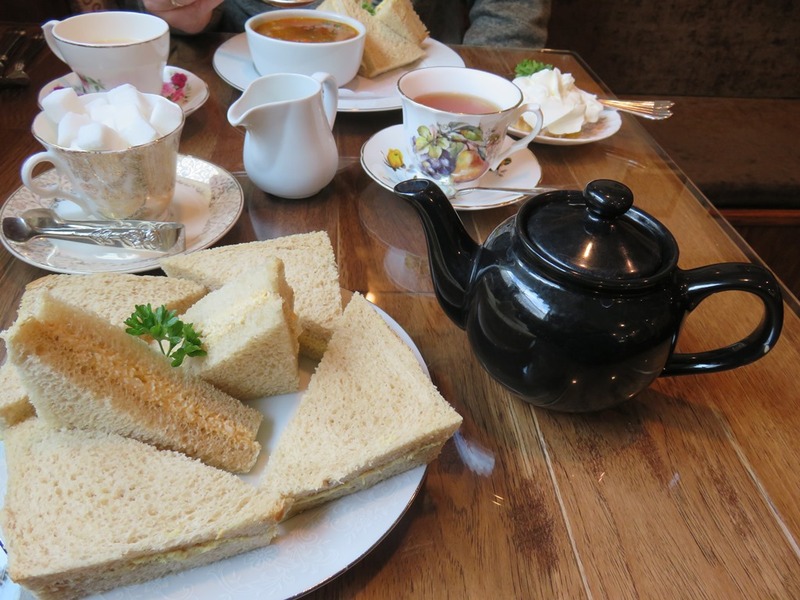 A cherished bit of English history resides in its traditional Brown Betty teapots. Stoke-on-Trent in Staffordshire, a city 160 miles northwest of London, became famous for making pottery in the Middle Ages. In fact, the village was nicknamed the Potteries due to the region’s abundance of a superior form of red clay that retains heat more than any other clay. Tea drinking spread beyond the upper class to all families in British society in the early 19th century. This demand increased the production of china teapots and teacups by the Wedgewood, Spode, and Royal Doulton companies, rivaling their Chinese porcelain counterparts, and brought renown to the Staffordshire clay teapots. I’m a tea drinker who believes the Brown Betty teapot makes one of the best pots of tea. Several cups of hot tea can be poured before it is necessary to replenish the teapot with fresh tea and hot water. The teapot’s round shape enables loose tea leaves to swirl in the boiling water, ensuring complete infusion. The dark manganese glaze, known as a Rockingham glaze, gives the Brown Betty its distinct color, hiding tea stains over time. How are Brown Betty teapots made? Once they were thrown on a potter’s wheel with the hand and spout added afterward. Now they are poured into a mold using a slipcasting method. After the teapot is released from the mold, it is allowed to dry naturally. Then it is smoothed (fettled) and fired in the kiln for the first time. Next, the teapot (in biscuit form) is dipped into the Rockingham glaze and left to dry naturally again. Excess glaze is removed from the bottom (footswiping) and the lavender-colored pot is fired in the kiln a second time to create the glossy chocolate-syrupy color of the Brown Betty teapot. If you would like to own a new Brown Betty teapot, two Stoke-on-Trent companies still make these treasured heirlooms, Cauldon Ceramics, Ltd. and Adderley Ceramics, Ltd.. Of course, you can find Sadler or Alcock, Lindley & Bloore Brown Betty teapots in antique stores and vintage shops. 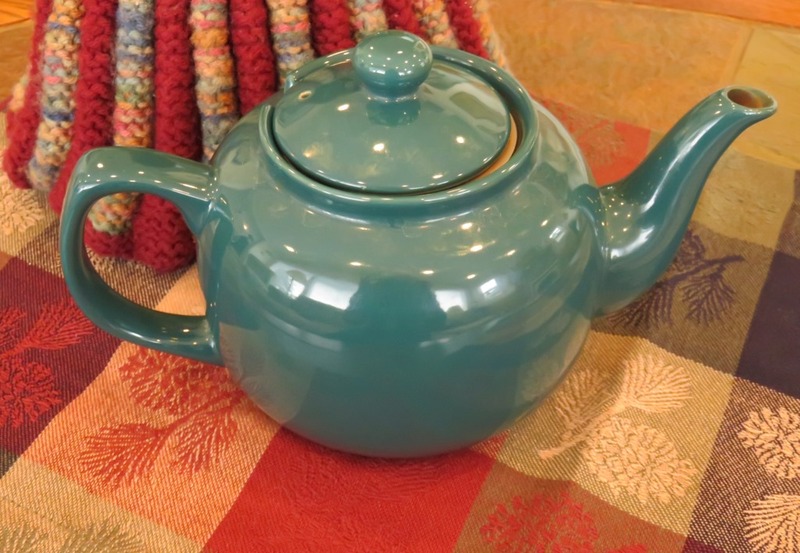 Other countries have copied the Brown Betty style teapot and I own an Old Amsterdam Porcelain Works teal green teapot that is a close cousin to my favorite Sadler teapots in various sizes. To determine if you own an authentic Brown Betty teapot, turn it upside down to see if you can see the unglazed red clay and the words “Made in England” on the bottom. Do you own a teapot? Like tea? Or have you visited England, the land of tea? If so, I’d enjoy hearing from you. * Note: This article appeared first at Stitches Thru Time Writers. This entry was posted in English Brown Betty Teapots and tagged Adderley Ceramics Ltd., Alcock Lindley & Bloore, Brown Betty teapots, Cauldon Ceramics Ltd., England, Made in England, Old Amsterdam Porcelain Works, red clay, Sadler, Stoke-on-Trent. Bookmark the permalink. As I recall, the three tea sandwiches on the far side are: 1) curry chicken; 2) cucumber dill; and 3) egg salad. YUM! Thank you for your post. I just found a little brown betty at an estate sale (sans lid) for .25 cents! Enjoying a cup right now! 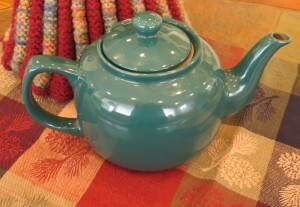 I’m glad you liked my post and found your very own Brown Betty teapot to enjoy a cup of tea!